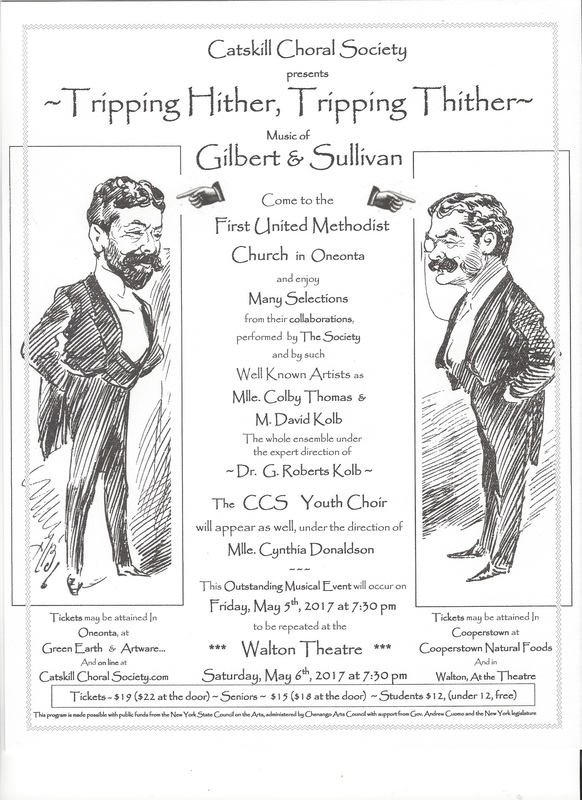 Join us for an evening of light-hearted fun with selections of gentle satire of Gilbert & Sullivan sung by the Society and featured soloists, Colby Thomas and David Kolb. Tim Horne accompanies and G. Roberts Kolb, the Society’s Artistic Director, conducts. In addition to favorites from the popular Pirates of Penzance and HMS Pinafore, selections from such lesser-known works as Utopia Limited and Princess Ida are on the docket. Jacques Offenbach, who served as inspiration for Gilbert and Sullivan, will be represented by selections from Orpheus in the Underworld, in a translation by Dr. Kolb. A good time will be had by all!